The Most Loved Couple of Bollywood Separated to Be Back with a Bang! One of the most shocking breakups of Bollywood couple is undergoing a major twist. The “Kaho Na Pyaar Hai” actor, Hrithik Roshan divorced Sussanne Khan in the year 2014. The much-talked divorce was a huge shock to not only B-town but to the audience. 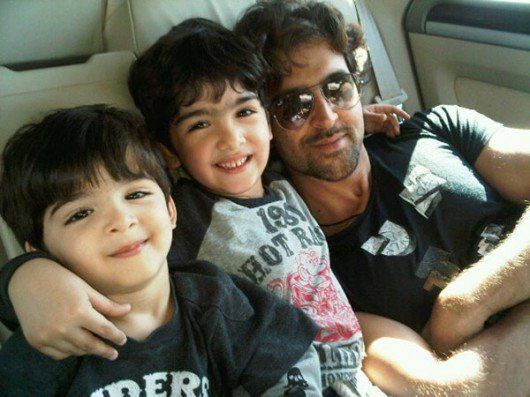 Together, they both have two sons, Hrehaan and Hridhaan. The infamous affair of Kangana Ranaut and Hrithik Roshan led to their divorce. Finally, it seems like the separation period is ending. Recently, Sussanne Khan was spotted with the Roshan family in America. Hrithik and Sussanne came together for their sons. The kids wanted to spend their summer vacation with both of them and thus the lovely parents nod in a yes. Social media flooding with pictures clearly shows that how happy they all are with each other. Now, after spending some quality time, the kids are back to school but the divorced couple is still not out of the balloon. Sussanne attended the IIFA Award show in New York making an entry with Karan Johar and Hrithik Roshan. Later, she was captured on the streets of America with her ex-husband, Hrithik. The growing closeness of the duo is possible only with the constant innocent efforts of the kids who are the youngest most in the filmy family but are performing their filmy rights to bring their parents back together. Ironically and positively, it is true that despite fitting to the controversial industry, even celebrities are bound with family values and sacrifices for their loved ones!